I read this book on my honeymoon back in January and really enjoyed it. I was sent this book by a friend who said it was a favorite read of hers and it was easy to see why! I rated it a good 4 stars and I enjoyed just how different a fantasy read this was compared to all the other ones out there that I have read so far. A library with the secrets to the universe. A woman too busy to notice her heart slipping away. Carolyn’s not so different from the other people around her. She likes guacamole and cigarettes and steak. She knows how to use a phone. Clothes are a bit tricky, but everyone says nice things about her outfit with the Christmas sweater over the gold bicycle shorts. After all, she was a normal American herself once. That was a long time ago, of course. Before her parents died. Before she and the others were taken in by the man they called Father. In the years since then, Carolyn hasn’t had a chance to get out much. Instead, she and her adopted siblings have been raised according to Father’s ancient customs. They’ve studied the books in his Library and learned some of the secrets of his power. And sometimes, they’ve wondered if their cruel tutor might secretly be God. Now, Father is missing—perhaps even dead—and the Library that holds his secrets stands unguarded. And with it, control over all of creation. As Carolyn gathers the tools she needs for the battle to come, fierce competitors for this prize align against her, all of them with powers that far exceed her own. But Carolyn has accounted for this. And Carolyn has a plan. The only trouble is that in the war to make a new God, she’s forgotten to protect the things that make her human. Populated by an unforgettable cast of characters and propelled by a plot that will shock you again and again, The Library at Mount Char is at once horrifying and hilarious, mind-blowingly alien and heartbreakingly human, sweepingly visionary and nail-bitingly thrilling—and signals the arrival of a major new voice in fantasy. Scott Hawkins was very hmm.. I’d say crude but that makes it sound bad, but it’s true, his characters are blunt and honest and real which makes this fantasy story, more relatable and believable. In this way it made reading the characters and their journey more fun. I found Erwin to be hilarious and quite like my husband in some respects. Every time an Erwin chapter came up I would get so excited, and would turn to my husband and say “read this paragraph, its so you”. Needless to say my hubby is now reading this book because he got so into the few parts I would share with him! I do have to say I did get a bit lost at times about what was really going on in terms of the plot or which character studied what catalog etc. As the story goes on though it is easier to get more familiar with who is what though and where the plot seems to be heading which only made me want to keep reading faster. However, there were parts I didn’t love. Without being too spoiler-y I thought the ending was a bit anti-climatic, like oh ok thats it hmm. I was surprised by some things and being surprised is always good to me but I wasn’t too fond of where some of the plot lines went. Overall this was a different, unique read which is why I liked it a bit more than I might have normally. It is always fun to have a refreshing read in a genre that seems to tell the same story over and over. I wish there was a sequel as I really would like to know what happens with Erwin in particular, and also Carolyn. If you like adult fantasy with funny characters and a great new plot line which gets quite gruesome at times, be sure to pick this up it’s a great read! Oh and also, this review was so on point. PLEASE DO TEACH ME HOW TO BE COHERENT LOL. I’M SO HAPPY. YOU’RE FINALLY BACK YAAY!!! haha Im trying!!! 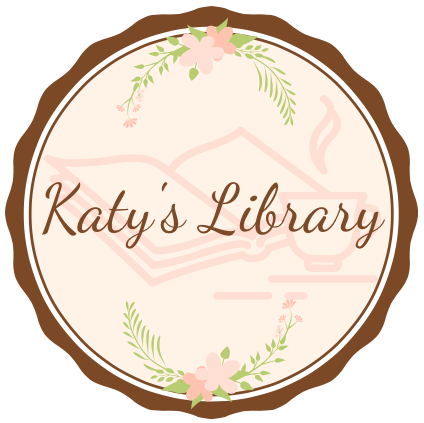 i feel like it can be quite hard to keep up with reviews on my blog and easier to just do them on good reads but ill be updating it a bit today!! thank you girly!